This paper, which is based on Chapter 9 from the book, “Financial Risk Management: Applications in Market, Credit, Asset and Liability Management, and Firmwide Risk,” by Jimmy Skoglund and Wei Chen, discusses the need for banks to invest in a solid, but iterative firmwide stress testing process that is constantly improving and being invested in. This process, which is becoming the new industry standard, should not only allow a bank to gauge its capacity to meet regulatory capital requirements such as CCAR and EBA, but also significantly improve its ability to identify and prevent potential issues that may affect its revenue, liquidity, market growth, and earnings. 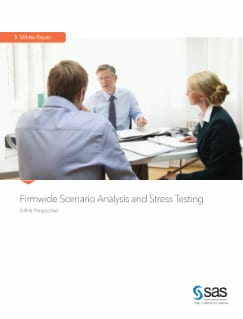 It delves deeply into commonly used firmwide scenario model approaches and the specific regulatory, firmwide stress testing process used in CCAR and EBA, discusses firmwide risk capital measures, and forecasts the future of firmwide stress testing and stress testing regulation.